Before we get to see the Marvel team-up show of “The Defenders” we will meet our final Netflix superhero “Iron Fist”. Comic book fans may know Iron Fist better as Danny Rand, who in the show will be played by Game of Thrones star Finn Jones. 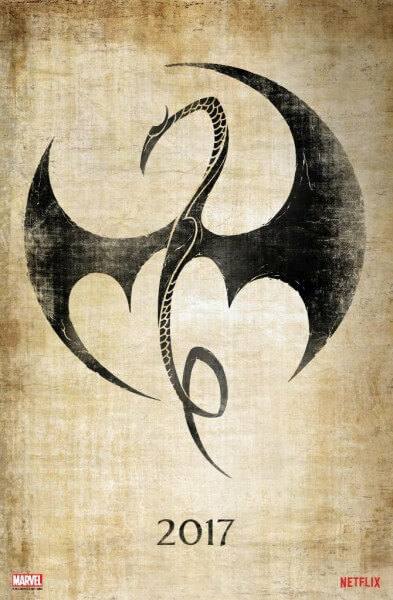 Today during the San Diego Comic-Con panel fans got their first glimpse of the Iron Fist logo and teaser trailer. Iron Fist will debut on Netflix in 2017. VIDEO: New trailer for “Rocky Horror Picture Show” reboot showcases audience partici…pation! Older Older post: SDCC 2016: Marvel and Netflix officially announce “Daredevil” Season 3!